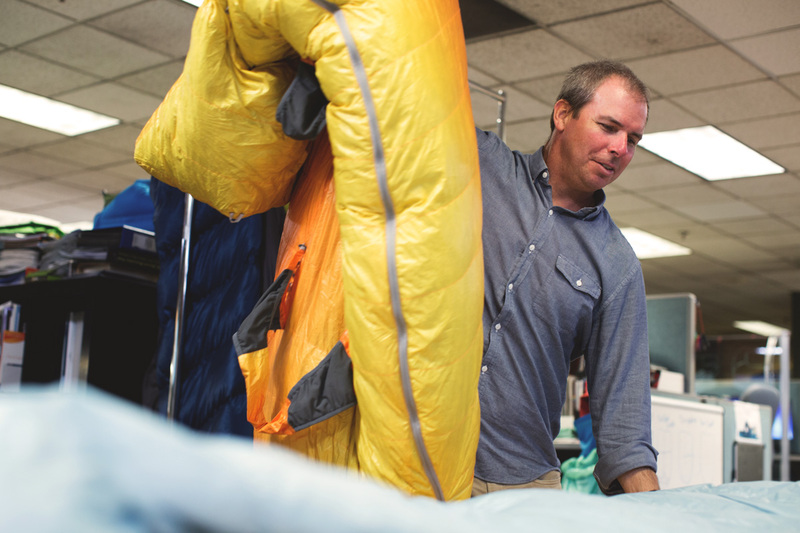 Whether you are taking your Therm-a-Rest Fast & Light sleeping bag out into the alpine, the desert or snowy tundra, each and every bag was designed by our team in Seattle, WA. Since 1972, our engineers and product designers have considered every corner and detail of our products to bring you a better night outside. In this edition of Therm-a-Rest Gearshed, we take a closer look at the designers and philosophies that brought you the Polar Ranger, Oberon, Parsec and Space Cowboy sleeping bags. 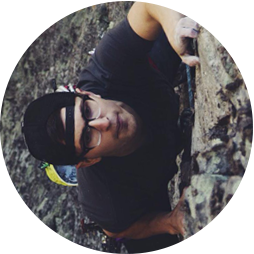 To experience the full line, visit our Bold Pursuits page. The mandate sounds simple. 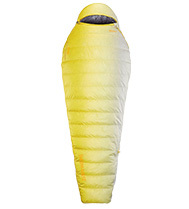 Create a durable, ultralight and packable sleeping bag. Then, ensure that it protects hard-core adventurers from harsh elements and rugged terrain. While you’re at it, make sure the fill is responsibly sourced and that the price is right for a dirtbag mountaineer or skier. 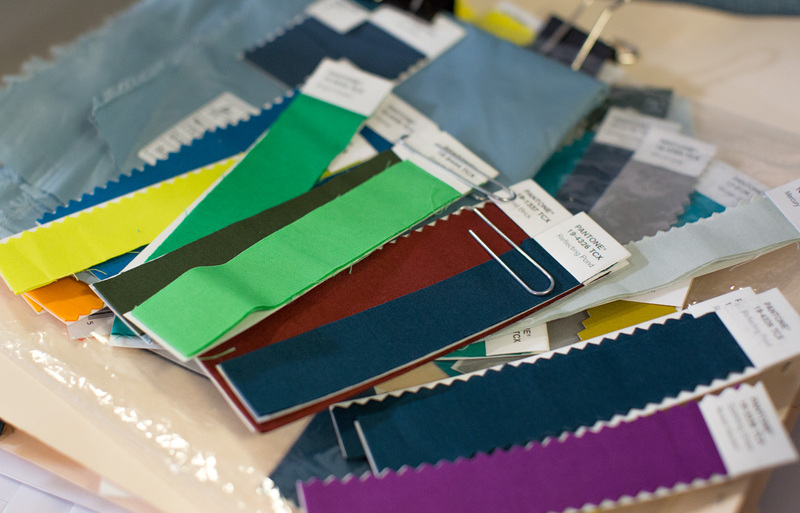 While designing the new line of Fast & Light bags, Jim Giblin and Katie Nash considered every possible thread, cut and filament of the new line, every corner thoughtfully considered. They began by considering the specific needs of backcountry athletes. This range covered thru-hikers, bike packers, climbers and mountaineers. They even consulted some of the leaders in Arctic exploration for insight on dealing with extreme temperatures. One notable difference between the new line and other lightweight bags are the added comfort features. While the bags are some of the best in their class, they still have features like oversized draft tubes and a roomier fit. 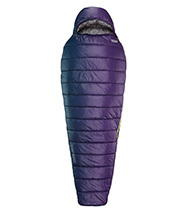 The design team realized that just because someone is an elite alpinist or a PCT thru hiker, doesn’t mean they wanted to be wrapped tightly in down and nylon. The roomier fit and SynergyLink™ connectors allow campers to move freely in their bags without exposing cold spots. The oversized draft tube ensures that heat is not escaping out of the top of the bag. In order to keep the bags ultralight, Katie and Jim sourced high-powered, RDS certified down to insulate the bags. This decision led these bags to weigh in among the lightest in their categories, a huge factor for our “fast and light” customers. The Nikwax Hydrophobic Down™ stays dry and retains loft to keep you protected in cold and wet conditions. The bags were then given a fiery and elemental colorway to convey their warmth and technical construction. 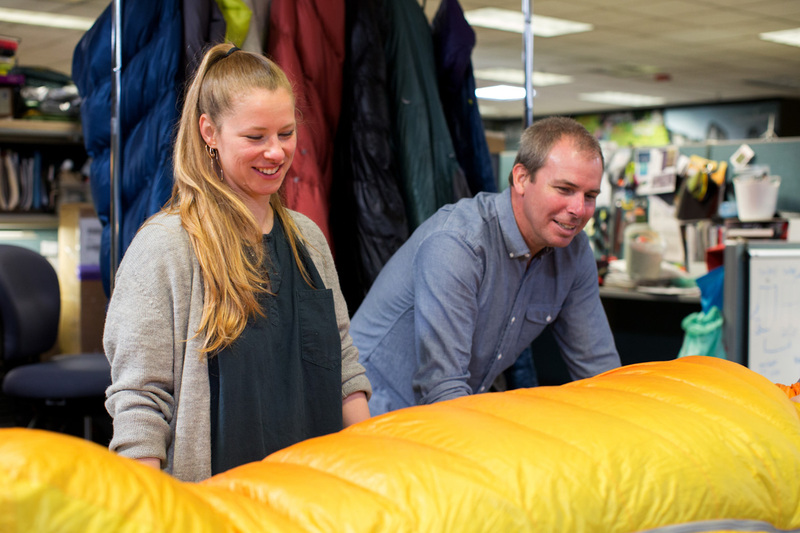 Katie and Jim’s commitment to comfort and “every-corner-considered” philosophy has produced a line of bags built for explorers that need to stay comfortable and energized while pushing deep into the backcountry. This careful design and attention to detail allows us to put our Better Sleep Guarantee on all Therm-a-Rest sleeping bags. Check out our full line of sleeping bags today.